That’s a pretty big number, especially when it comes to sports. For just about anything, it’s a milestone achievement, no matter how you put it. I was hired Wednesday night by the Denver Post to cover the Nuggets as they faced off against the Celtics as head coach George Karl went for his 1,000th career coaching win. The assignment was simple — stay on the coach in the event that they win. Well, unfortunately for the Nuggets, and with star player Carmelo Anthony sidelined, a win wasn’t in the cards. It was pretty much a blowout, as the Celtics cruised to a 105-89 win. 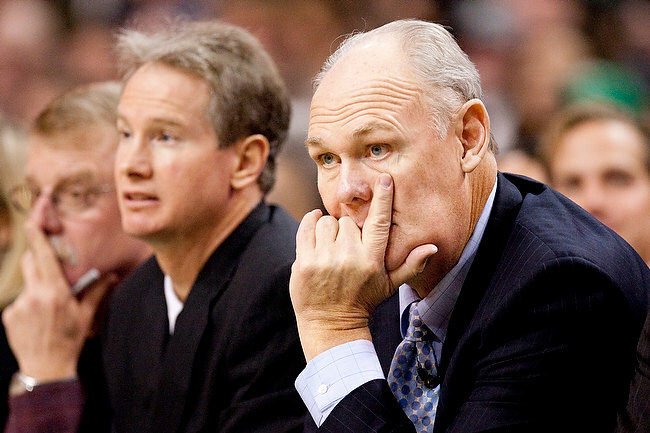 Unfortunately, a coach not reaching a milestone isn’t exactly newsworthy, so my photos will be relegated to the back burner of history unless by some fluke, coach Karl never wins another game ever again. 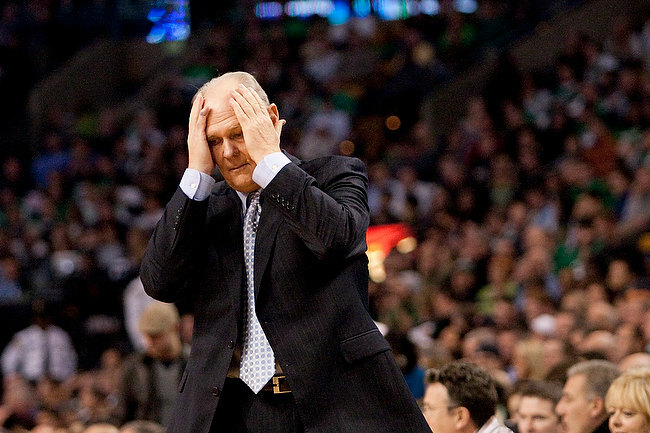 12.8.2010 — BOSTON — Nuggets coach George Karl expresses his frustration as his team falls behind against the Boston Celtics at the TD Garden on Dec. 8, 2010. 12.8.2010 — BOSTON — Nuggets coach George Karl looks on as his team falls behind against the Boston Celtics at the TD Garden on Dec. 8, 2010. 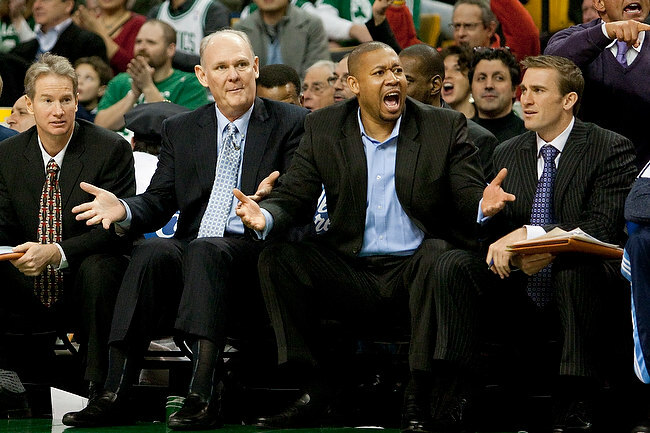 12.8.2010 — BOSTON — Nuggets head coach George Karl, left, and assistant coach Melvin Hunt argue a call while facing the Boston Celtics at the TD Garden on Dec. 8, 2010. 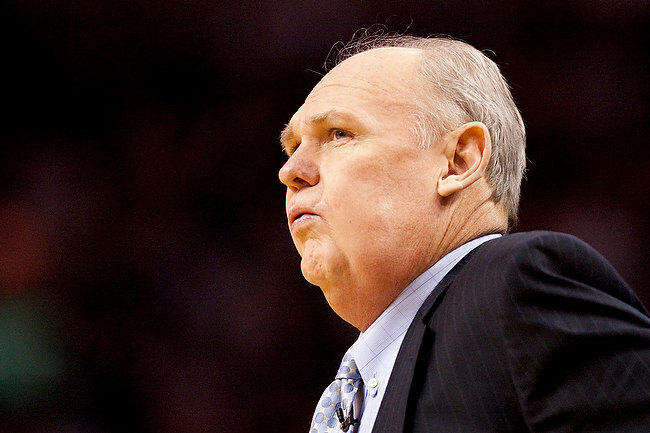 The Nuggets lost, 105-89, leaving Karl at 999 career wins.